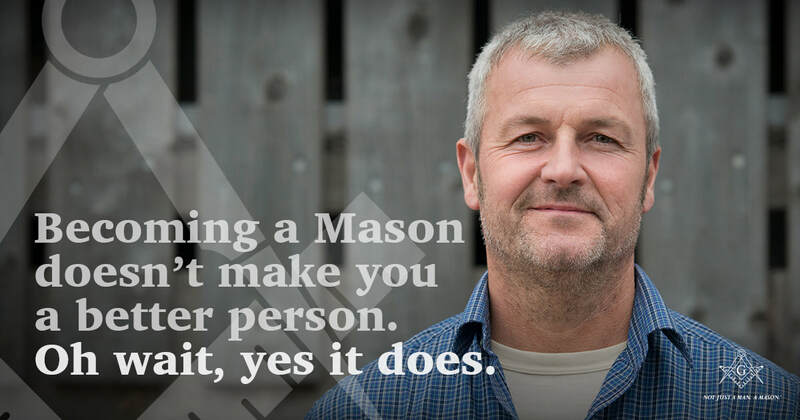 Freemasonry is an ancient and honourable society. It's principles are just steady standards of life and conduct in a changing world. The practice by Freemasons of Brotherly Love, Relief and Truth and the other principles of the Craft will go a long way to making a good man better. Freemasonry is dedicated to the Brotherhood of Man under the Fatherhood of God. It uses the tools and implements of ancient architectural craftsmen symbolically in a system of instruction designed to build character and moral values in its members. It's singular purpose is to make good men better. Its bonds of friendship, compassion, and brotherly love have survived even the most divisive political, military, and religious conflicts through the centuries. There are about 8 million Freemasons under more than 100 "regular" Grand Lodges worldwide. Membership of the Craft is open to every respectable Man who believes in a Supreme Being - usually known in Masonic terms as the Great Architect of the Universe, Grand Geometrician of the Universe or the Most High. These descriptive names show the importance the Freemason places on his Supreme Being. Freemasonry is made up of many individuals in numerous organizations, all subordinate to the Grand Lodge within their jurisdiction (i.e. province or state). None of these members or organizations can speak for Freemasonry; that is the responsibility of each Grand Lodge within it's jurisdiction. No Masonic body nor author, however respected, can usurp the authority of a Grand Lodge. To become a member of this Ancient and Honourable Fraternity, a Man must apply of his own free will and accord, and with an open heart. Invitations are not issued to prospective members, nor are members solicited.